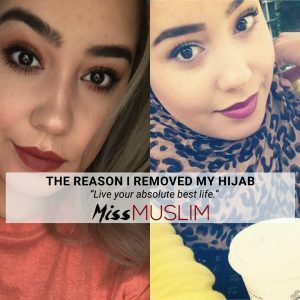 The company i am interning for this semester Summer2018 is Missmuslim.NYC which is a start up comapny that is online. They call themselves the Muslim Cosmo talking about topics that are to taboo and somewhat frowned upon. The company is located in NYC and have different divisions such as Chicago. The companies primary business is to inform readers on experiences of muslim women and men. Topics ranging from why the hijab is a choice and coming out LGTBQ in a Muslim family perspective. I work in the Social media Graphic design dept. making graphics for articles being published throughout the week. i follow the guidlines of missmulsim graphics team and do my best. 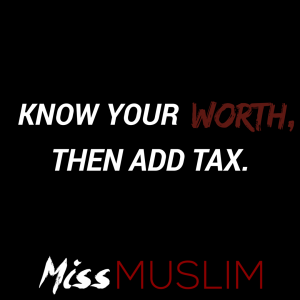 Here I was asked to create a few inspirational Quotes for the MissMuslim.NYC. I have to search 5 quotes and design them according to the graphically guide lines of the company. My internship is remote so working online and figuring out things on your own and through phone/email was a challenge bujt a challenge I over came. I enjoyed doing these quotes knowing someone on Instagram,Facebook and Twitter someone will look at these inspirational quotes and be uplifted. The role I play in this company is developing memes/quotes as well as promoting articles that came out during day/week and are posted to Instagram/Facebook and sometimes twitter. When I applied for this internship it was online. I spoke with Jenan Matari founder and Editor of MissMuslim.NYC and she gave the internship right away after seeing my resume and my credentials. It took about a week to fully confirm my internship but told me I was going to get it. 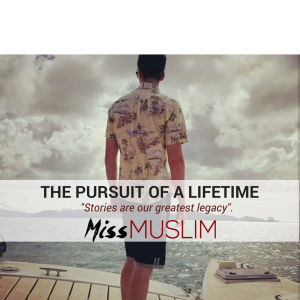 Part of my internship was to go on the MissMuslim.NYC dashboard and see what are the articles posting for the day and take photo and create a Social Media Ad for people to come to the website and read the article. 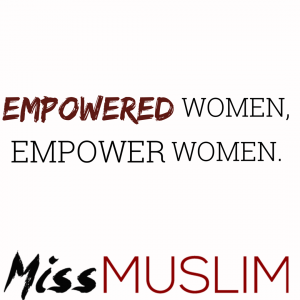 This was posted on MissMuslim.nyc facebook and Instagram and twitter pages. Just like Journal 3 this was an article I had to promote to social media as well but the trouble of combining the photos was a challenge. I realized working with other peoples work can be struggle because they don’t know proper ways to take a photo for me to put in to a graphic promo. So to me this looks horrible but they loved the work. Later that week I was told that this story and graphic was most shared and liked on social media. It was a proud moment for me and the writer of this story. With this article promo I had to do maybe 3x because the opacity of the box was giving me a problem at first it was to light then to dark but after the 3x this was the best fit for posting to the site. I feel like the image itself is to dark and can use more lighting and maybe the person can be facing the camera instead of side angle. I can only do so much as an intern. When I originally made this quote it was with white and black lettering… I thought it would be more legible to read that way but I was instructed to do the black and white lettering for it to be a little edgy and I actually like it this way better than what I ahd before. Also this post was on the MissmuslimNYC IG and FB pages. 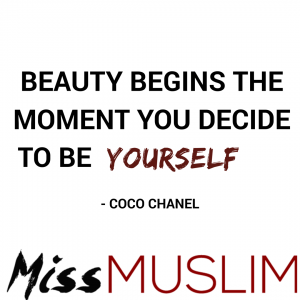 This was one of my first quotes to design for MissMuslimNYC . I actually used Indesign at first but was later instructed to use Canva to design the quotes and Memes for the pages.